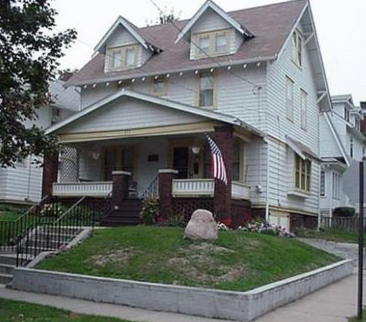 Dr Robert Smith’s house, at 855 Ardmore Ave in Akron, Ohio, Dr Bob, as he was known, was the co-founder of Alcoholics Anonymous and held many of the first meetings at this house. A.A has established a 12 step method to help combat substance dependency. Dr Bob’s house has 12 steps leading to his front door!